Are Sweet Pepper Plants Toxic to Cats? Are Shamrock Plant Flowers Toxic to Cats? What Indoor Plants Are Non-Poisonous for Cats? Sweet pepper plants and their fruit are not toxic to cats, according to the ASPCA Animal Poison Control Center's list of poisonous plants for cats. Eating any plant in large quantities, however, can cause cats to vomit. 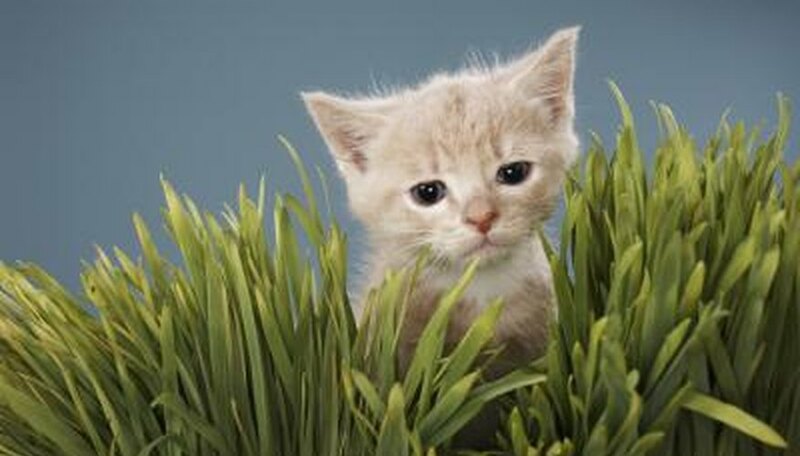 Although they are obligate carnivores, cats normally eat green plants for reasons still unknown. Cats will eat or lick sweet pepper plants, including the leaves and fruit, but it all depends on the tastes of the individual cat. Ornamental pepper plants, also called the Jerusalem cherry or Solanum psuedocapsicum, are toxic to cats, dogs and horses, warns the ASPCA. Ornamental pepper plants closely resemble one variety of sweet pepper plant known as the cherry pick hybrid. Crushed pepper fruits, hot peppers and cayenne pepper act as temporary cat repellents, notes University of Vermont Professor Leonard Perry. Blend pepper so it can be sprayed onto plants to make them taste bad to the cat. Reapply sprays after rain. Cats may vomit after eating any number of plant varieties. Cats can pass undigested plant pieces in their stool. Call a veterinarian immediately if a cat begins to experience seizures or breathing problems. 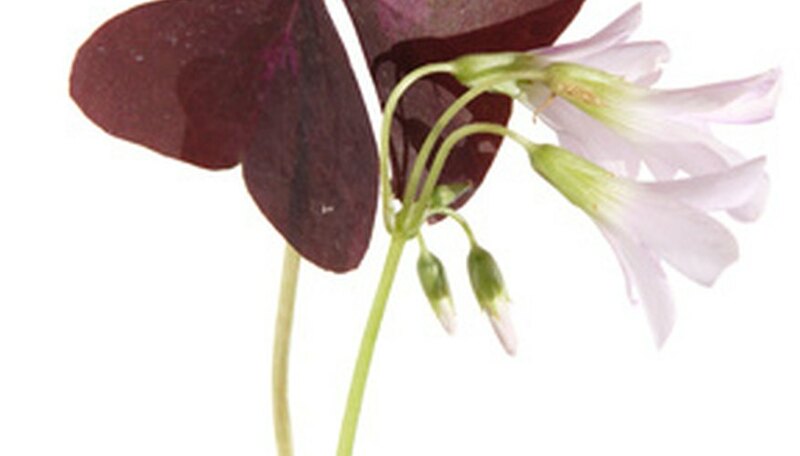 The shamrock plant (Oxalis spp.) can be toxic to cats. Oxalates in the plant are absorbed by the cat's gastrointestinal system, and travel to the kidneys. In the kidneys, oxalic acid combines with calcium, forming calcium oxalate crystals, according to Centennial Valley Animal Hospital. This can cause kidney damage. 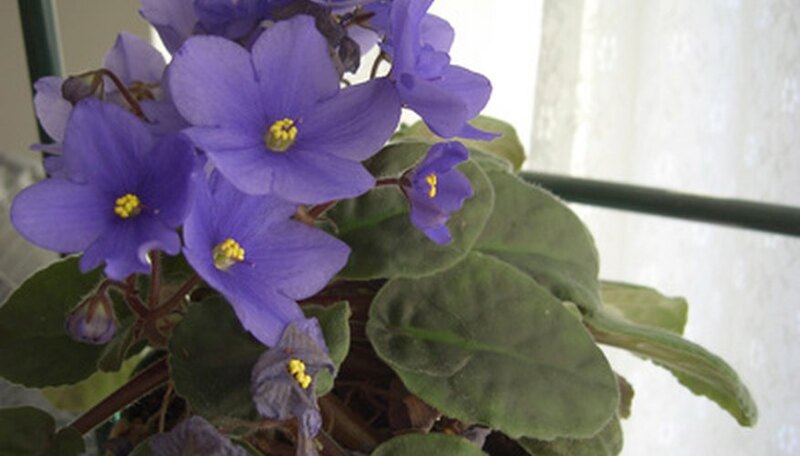 The African violet is a popular indoor plant and is also non-poisonous for cats. Like the cat, the African violet prefers full sun. To keep your cat from viewing an African violet as a free lunch, do not place the plant in or near any of the cat's favorite patches of sunlight. 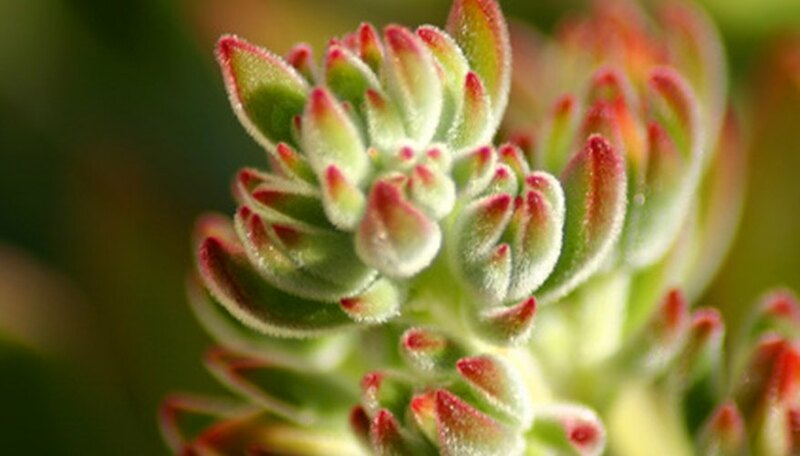 Chicks and hens is a small succulent that grows well in household planters and does not require much water. Although they prefer full sun, they will grow in light shade. Most varieties of chicks and hens have sharp, tough leaves that cats usually find unappealing. Christmas cactus, so named because it blooms in late December, is an easy-to-care-for houseplant that is non-poisonous to cats. It also makes a popular holiday gift. 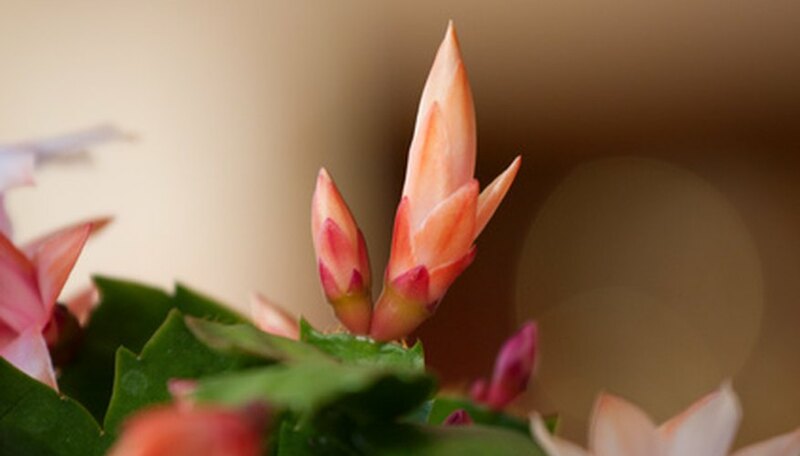 Like chicks-and-hens, Christmas cactus has tough leaves and small spines that discourage cats from chewing on it. Wax begonias are safe for cats to eat. They come in a wide variety of colors. 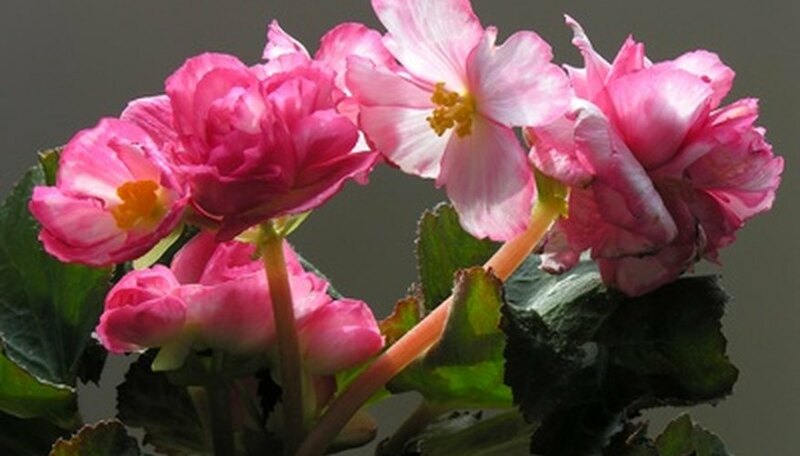 Like the African violet, the wax begonia prefers full sun. The popular spider plant is harmless to an inquisitive cat. It's also well-suited to indoor growing, as it thrives in indirect light and can stand long periods between watering. 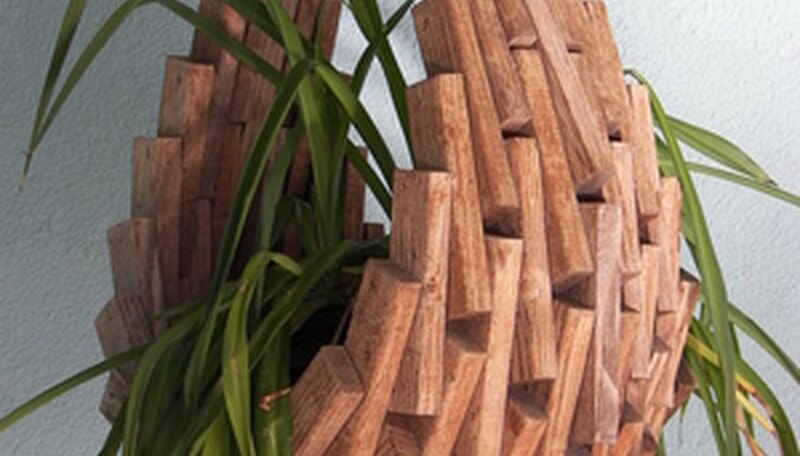 Hang spider plants from the ceiling to freshen up your decor and ward off hungry felines. Using clippers or scissors, cut circles out of chicken wire, about 8 inches to a foot in diameter, depending on how big the bulb hole is. Position the chicken wire over the spot where you have planted your bulbs and gently nudge down into the dirt with your fingers, pressing it to a level fit. Stake down the circles with small metal garden stakes and cover lightly with a thin layer of dirt. The chicken wire has enough room for the bulbs to send stalks up into the sunlight, but not enough for kitty to do some serious digging. Cats don't like to walk on chicken wire, so your cat will naturally avoid the area. Fill a plastic spray bottle with water. Every time your cat goes near your houseplant, mist it with a light spray of water. Be sure to do it every time, so that your cat gets the hint. Eventually, the cat will associate the houseplant with getting misted. Distract your cat. Buy grass that is made for cats, or grow your own. Also try setting out scratching boards that have catnip inside of them. If your cat's attention can be distracted elsewhere, he may leave your houseplants alone. Hang your plants somewhere high where your cats can't reach them. Purchase hanging plants and hang them from your ceiling. Be sure the plants don't have dangling foliage, which will only entice your cat more. Mist the plant with something that your cat will not like the taste or smell of. Mist it will watered-down black or cayenne pepper. Try citrus or minty scents. If the plant has an unattractive scent or taste, the cat will leave it alone. Avoid handling cat waste, even with garden gloves, if possible. Use a small shovel, disposable plastic bag, or other implement to pick it up. Add the cat waste to the center of a freshly turned compost pile. Insert a compost thermometer into the pile. The cat manure will be sterilized when the temperature of the compost heap exceeds 165 degrees Fahrenheit for 5 days. Turn and add to your compost pile as usual once the cat feces is sterilized. The humus is ready for use when it is dark brown and crumbly like rich garden soil. The amount of time that this will take largely depends on the size of your compost pile and its contents. Pour boiling water over the weeds in your lawn that you wish to kill. The water will not injure your cat in any way, and will protect it from chemical weed killers. Combine 1 qt. vinegar and 1/2 cup lemon juice in an empty spray bottle to create an organic weed killer that is safe to use around cats. Spray the weeds with this solution instead of a chemical herbicide. Call your cat indoors before you use a chemical weed killer. This is the only way to keep your cat safe if you go the herbicide route. Keep your cat indoors for the length of time specified on the herbicide container. Usually, this is until the weed killer has dried, or until you have watered your lawn. Walk your cat on a leash in a park until your yard is safe for your cat to play in again. Store leftover herbicides in a locked garage or shed. Place them on the top shelf in case your cat gets into the garage or shed.